Pennsylvania physician Terrence Babb, MD has been in a longstanding battle against the powerful Geisinger Health System. Wrongly terminated after raising concerns about patient safety in the hospital, Dr. Babb has won several victories in the courts, including a jury verdict in his favor. 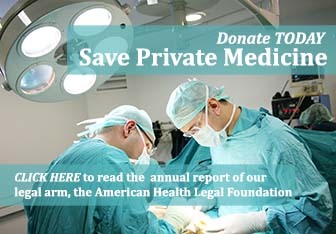 But the health system is pulling out all the legal stops in an attempt to avoid an embarrassing loss. 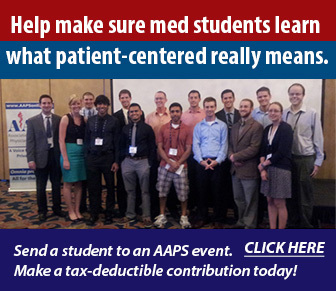 AAPS, as a physician’s organization that has been active for more than 75 years, has a direct and vital interest in defending the integrity of the medical profession against wrongful conduct, as found by the jury below. 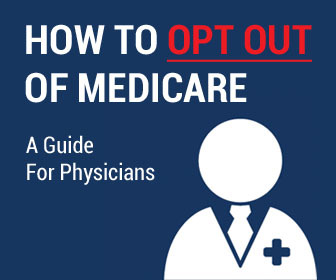 Patients are far better off when physicians can practice with the basic security that there will be legal accountability for wrongful actions taken against them, which is at issue in this appeal. 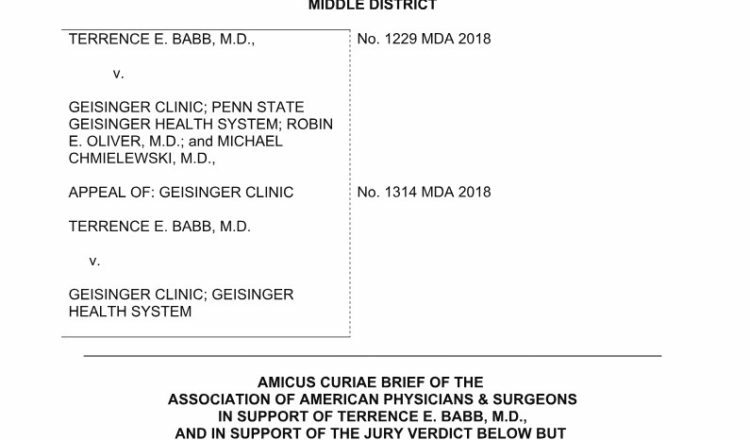 Geisinger severely harmed Dr. Babb by wrongly terminating him, and Geisinger should be legally accountable for the damages as found by the jury. 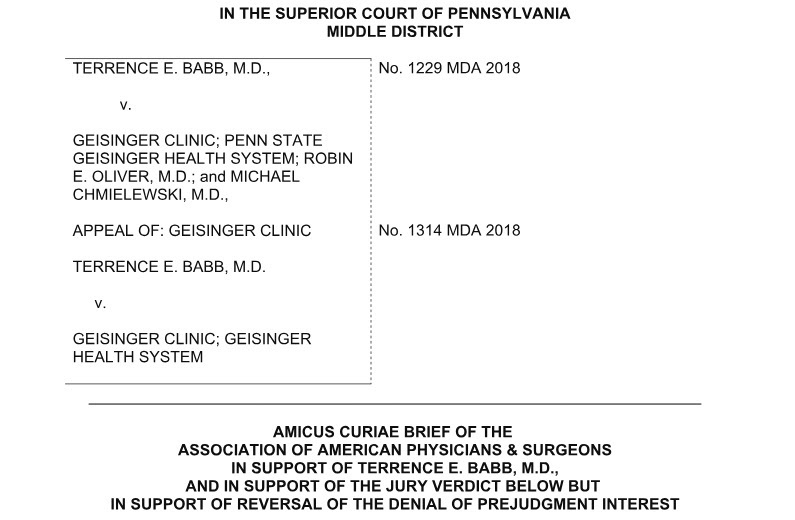 As Geisinger virtually concedes in its appellate brief, it was determined to get rid of Dr. Babb and was not trying to improve any particular quality of care for patients. Geisinger fails to persuade, and its termination of Dr. Babb was improper as the jury found. 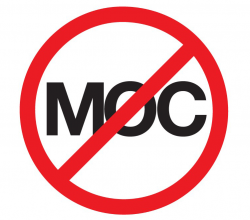 Denial to Dr. Babb of prejudgment interest is improper considering “the immense harm caused to Dr. Babb and the burdensome litigation that he was forced to endure. Prejudgment interest should have been awarded to him to make him whole. Geisinger’s wrongdoing, proven at trial, shattered Dr. Babb’s promising medical career. He had to fight for nearly 20 years in litigation to attain this jury verdict. In light of the passage of time and the incurrence of enormous legal expenses, prejudgment interest is essential to make him whole. For the foregoing reasons, this Court should affirm the jury verdict below but reverse the denial of prejudgment interest.